2016 has been a strange year for legends. Sure, the amount of big names who have died this year has been striking, but it’s not a much bigger number than 2015. There’s one word that makes it seem so, though: Bowie. When icons go, we judge everything else in their slipstream. 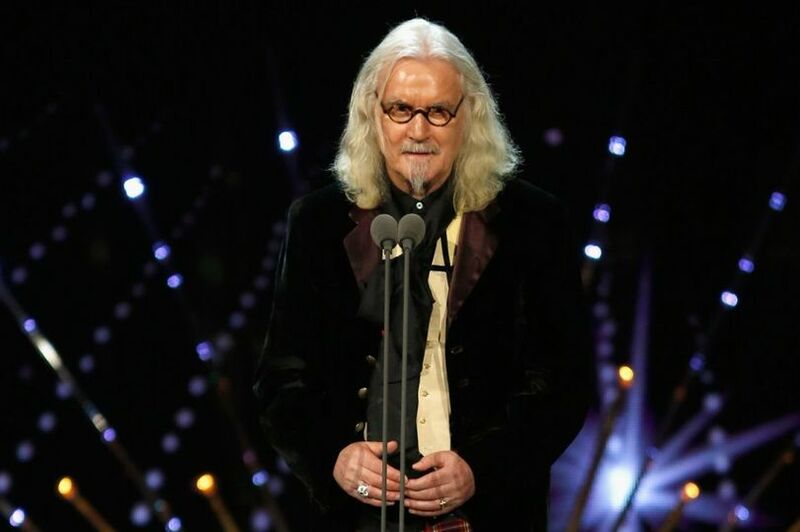 Which is why when the likes of Billy Connolly come to town, we feel the need to pay deep reverence. By Lis Garrett. I’m not a great lover of British comedy. I’ve always preferred my laughs to come from the other side of the pond – but there are two exceptions to this rule: Eddie Izzard and Billy Connolly. Both have the ability to reduce me to a wheezing wreck, gasping for my inhaler. So, I was a little apprehensive to be going to see the illustrious Mr Connolly at the ECHO Arena last weekend… would he repeat the feat from his Hammersmith Apollo gig in 1994 when he made me laugh so much I had muscle spasms in my back for days? I needn’t have worried. We’re all twenty years older and a little mellower, so right from the outset it was obvious things were going to be a little more sedate. Connolly’s Parkinson’s disease (“I wish he’d kept it to himself”) has tempered the maniacal rushing around that we all remember and the pace of the comedy is a little slower and more thoughtful. This could also be due to the fact that he’s over seventy? Either way, I think we can forgive him for not covering the width of the stage – he stood very carefully next to a stool holding a pint of water he regularly sipped from during pauses.. Maybe a stopping point for him, too, to gather his thoughts as he worked through his routine? The apprehension was clear from the stage and the crowd, almost as if no-one was quite sure what was going to happen. But, a few minutes in and we all seemed to settle into things, as Connolly remains a master of observation and his tales of travelling around France with his cousin were brilliant… he is a consummate story teller and even when, as he warned us, the punchline was in the middle of the story, we were still all drawn in and laughing (still) when he moved on to the next story. He inevitably talked candidly about his disease, which is clearly progressing and affecting the use of his arms and hands, but with his wry humour he took us into his confidence and shared the terror and frustration that comes with this kind of diagnosis. It felt like an old friend was sharing those deep dark things you probably want to keep to yourself – but you know are better if you whisper to someone else. I hope this public sharing is helping him deal with the disease and helping him to cope… and maybe helping others along the way, too. His cancer diagnosis wasn’t off limits, either, and it’s heartbreaking to see a man who was once so energetic so physically affected by two such cruel diseases. Thankfully, as Billy assured us, the cancer was dealt with and appears not to have had any long term ramifications for him (apart from a lack of wet patches in bed… you can always count Connolly to be brutally honest). It felt like everyone in the arena was ready to hold out a hand if he stumbled and waiting to be forgiving if he lost his place or maybe wasn’t even funny anymore… but none of that was necessary (apart from a vague disturbance in the crowd and some heckling which seemed to throw him off his stride slightly). In the end, Connolly was brilliant. From selfies (have your camera ready, don’t make him wait) to Fort William (a traffic jam in the Highlands), he was funny, irreverent and all the things that make us love and cherish him.